Here is an I have, who has metaphor game. 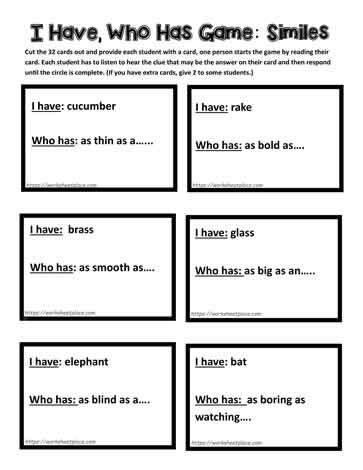 A great way to engage your fourth and fifth graders with figures of speech. This game keeps everyone on task and support the common core ELA for figurative language.